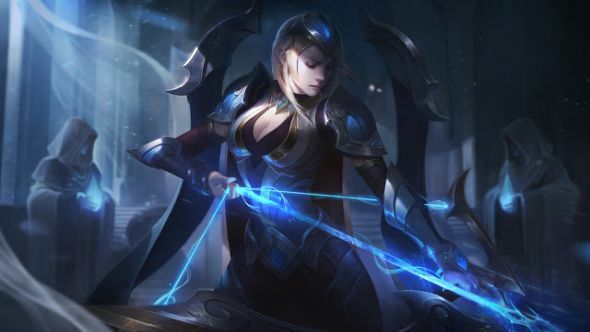 Riot Games is launching a new UK-focused League of Legends tournament with a total prize pool of £50,000. Registration for the new tournament, Forge of Champions, begins tomorrow, June 5, offering 64 amateur teams the opportunity to earn their spot at the League of Legends European Masters tournament in 2019. The 64 team slots will be available to groups containing at least three starting members who are residents of the UK and Ireland. The 64 teams with the highest average solo-queue ranks will be eligible to compete across four tournaments set to take place over the summer, alongside the eight teams that took part in this year’s ESL Pro League. League of Legends is one of the mainstays of the genre, but here are some more of the best MOBAs. The 64 amateur teams will compete in a knockout best-of-one tournament, with the top eight going on to play in a subsequent 16-team tournament with the professional teams. The top eight teams from that second tournament will receive championship points that carry over during each of the four tournaments. The eight teams with the most points at the end of the tournament will qualify for a playoff tournament, where they can compete for a top prize of £10,000. The team with the most points, and the team that wins the playoffs, will both get to compete at next year’s EU Masters tournament. In a press release, head of UK esports for Riot Games, Mo Fadl, says Forge of Champions is part of a “clear vision […] to create the highest level of competition and a source of entertainment for every gamer in the UK.” Fadl says that goes on to say that “Naturally, we see this as just the start of our vision of the UK. We know that to build something meaningful will take time and work and we want the players and the community to continue working with us so we can improve. The first tournament begins on June 22nd (although you can register at ForgeofChampions.com from tomorrow), giving you plenty of time to get your team together and start practicing. It’s worth noting that if you don’t make it into the top 64 the first time around, each tournament will re-select the teams based on rank (and availability), and later tournaments will offer more points than early ones, so it’s worth checking back repeatedly if you want to be involved.